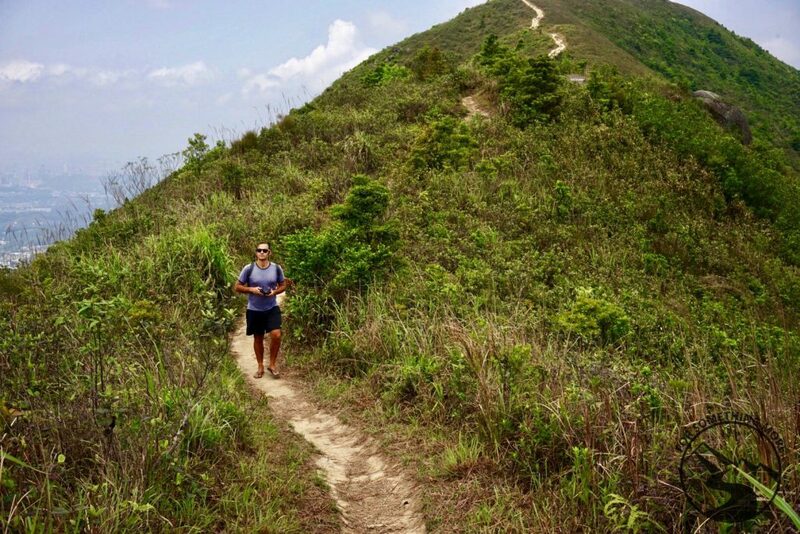 When you hike Razor’s Edge Ridge, (Tai To Yan in Cantonese) you’ll quickly come to realize that it’s one of the most beautiful and least crowded hikes in Hong Kong. While it’s certainly not one of the easiest 8k/5mi treks in Hong Kong, it’s WELL worth all the effort it will take to cross this spectacular ridge. 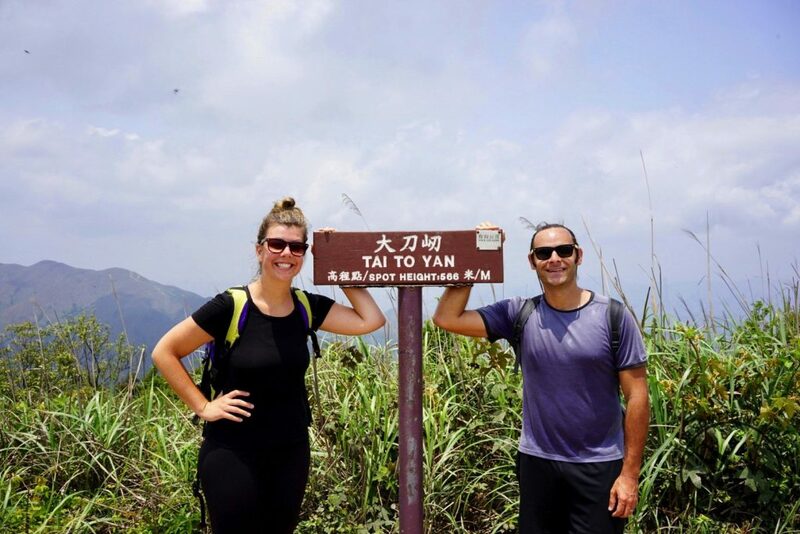 Located in the Lam Tsuen Valley, this breathtaking ridge walk will give you views of Tai Mo Shan (Hong Kong’s tallest mountain), Cloudy Hill, Shenzhen and even one of our other favorite ridge walk hikes, Pat Sin Leng. Quite frankly, this is one of the most understated hikes in Hong Kong, and it’s definitely one you need to add to your Hong Kong bucket list! 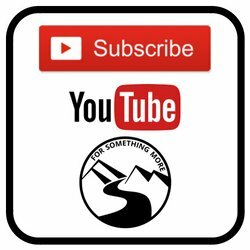 If you’d like us to guide you on this hike, so all you’ll have to do is enjoy it’s breathtaking beauty, give a click below, and we’ll get back to you ASAP! When you hike Razor’s Edge Ridge / Tai To Yan, you’ll want to keep in mind this is quite an exposed route. While this is best in the cooler months, we’ve certainly done it in the summer. If you do attempt it in the summer time, you’ll need to BE PREPARED by bringing the stuff we mention below. In the summer time, you should bring 3L/person. In the cooler months 2L/person will be okay. While this might seem like a lot of water, this hike is challenging, and there isn’t anywhere to get water along the trail. These Hydro Flasks are what we use. They are rugged, reusable and best of all, insulated. On hot days we fill them with ice water, and on cold days we fill them with warm water. We also feel environmentally responsible when we use them because we know how important it is to always be living greener here in Hong Kong. Don’t attempt to hike Razor’s Edge Ridge / Tai To Yan in the summer time without a sun umbrella. You’ll bake and maybe even burn. In the cooler months this item is optional. We use something like this. Any type will do, but apply it before you leave home, and bring extra so you can reapply it on the trail! It seems like we’re spending a lot of time on “sun stuff”, but it’s important to be prepared, and it’s super annoying to squint the whole time, so bring your shades! If you really want to be protected from the sun completely, consider bringing a sun hat. We use something like this. In the summer, this item is optional, but if it’s cool or windy, we usually bring our raincoats. If you hike this at night, which is THRILLING, you’ll definitely want your raincoat/wind breaking layer. Julia uses this Marmot raincoat*, and I use this Marmot raincoat (it’s the same as Julia’s, just cut for men). If you’re relying on your phone for navigation (which you likely will be during this hike), you’ll want to bring a power bank for your phone. A mid-weight hiking shoe will give you plenty of support and traction for Razor’s Edge Ridge. No need to use full scale hiking boots unless you know you’re predisposed to twisting an ankle or two! Last but certainly not least, we both bring our hiking poles. We most often use them on the downhills, and every time we do, our knees thank us massively. When you hike Razor’s Edge Ridge / Tai To Yan, you’ll have to do a pretty steep downhill at the end, so the poles will be super useful on that part. There are a few ways to hike Razor’s Edge Ridge / Tai To Yan. The information below is for the main route, although from our hike Razor’s Edge Ridge Google map you’ll see there are alternate options starting/ending in Fanling. 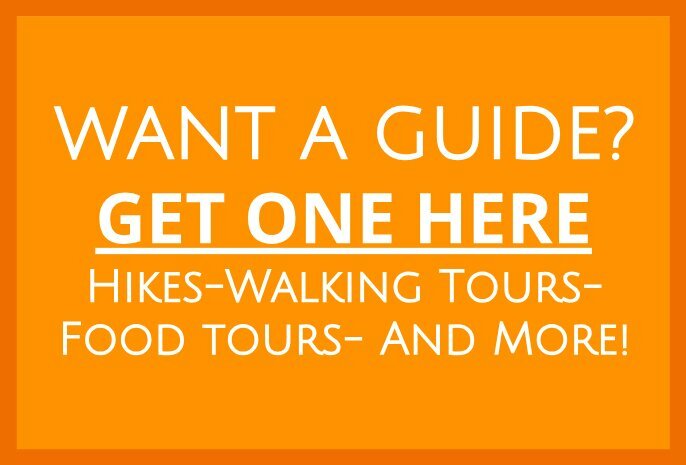 If you’d like us to guide you on this hike instead, give a click below, and we’ll get back to you! As you can see from the elevation profile above, when you hike Razor’s Edge Ridge / Tai To Yan you’ll have a steady climb from the Fung Ma Po bus stop to the peak of Razor’s Edge Ridge / Tai To Yan, and then you’ll have a steady downhill to the Kadori Farm bus stop. It’s possible to hike Razor’s Edge Ridge / Tai To Yan from a number of different starting points, but we think our route below is the most spectacular way to experience this stunningly beautiful part of Hong Kong. In order to hike Razor’s Edge Ridge / Tai To Yan and do it via the most convenient public transit routes, you’ll want to follow our route! When you’re out on the trail, just click on the link above to display our route in your Google Maps app. (If you don’t have Google Maps, download Google Maps for iOS here and Android here.) Then, follow along on the map as you’re hiking, and you’ll not lose your way! Just don’t forget to look around and enjoy the scenery, even while you’re navigating! MAP NOTE: Once our hike Razor’s Edge Ridge route map has popped up in your Google Maps app, don’t forget to click on “View Map Legend” at the bottom of the map to see a few points of interest we have listed along the way. There is no water along the route, so sadly, you won’t be able to use something like this in-line water filter by Sawyer to get water from a stream. However, there are some public restrooms at Fung Ma Po, and you could use the sinks to fill up your water there! Take the MTR to Tai Wo Station, then take either the 64K bus or 25K mini-bus to Fung Ma Po bus stop. If you take the mini-bus, just say “Fung Ma Po” to the driver when you get on the bus, and she/he will stop at the right place for you. Then use our hike Razor’s Edge Ridge Google Map, and you’ll be good to go! If you’re new to Hong Kong, here is an MTR system map. Again, if you want to leave the planning to us, and you want to simply enjoy this Hong Kong bucket list item, click below, and we’ll get start arranging your own off the beaten path Hong Kong adventure travel experience! This hike is challenging yet HIGHLY rewarding. It’s perfect for the cooler months, but if you’re properly prepared, it is also suitable for the summer ones. It’s located nearby to some of the most remote and beautiful waterfalls in Hong Kong, so if you still have any energy after you hike Razor’s Edge Ridge / Tai To Yan, you’ll definitely want to check out the Ng Tung Chai waterfalls. And of course, since you’ll definitely be hungry after this hike, you ought to try some Hong Kong soul food in Tai Po Market! As always, if you have any questions, feel free to reach out to us here, or leave us a comment in the comment section below.